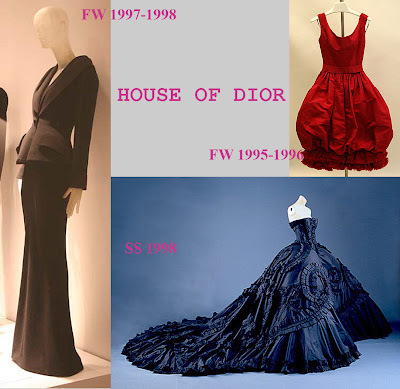 The Costume Institute at the Metropolitan Museum of Art in NYC goes online! If you're not planning a trip over there anytime soon, here is your chance to feast your eyes on collections from the likes of Christian Dior, Yves Saint Laurent, Lanvin, and so many more. Because they are so many objects in the permanent collection of the Museum, not all are currently available in the database... And all information is subject to change according to ongoing research and new acquisitions. That's a good thing. Obviuosly, I'm already all over it and can't concentrate only at how to stare with more efficiency to the screen... I'm a lost soul now. And you should be too ;) Have fun!